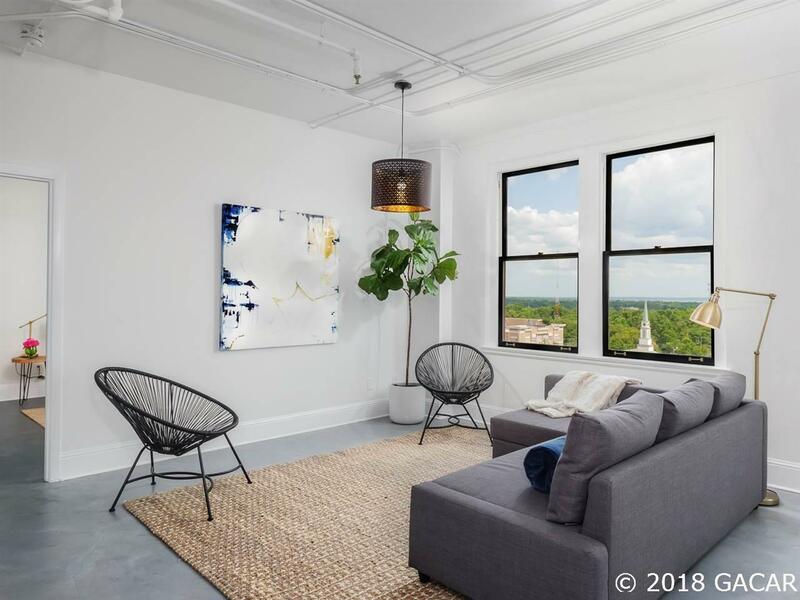 Located right off University Ave in the historic Seagle Building, this 9th floor condo offers unparalleled views of the cityscape including Paynes Prairie, downtown Gainesville and UF. 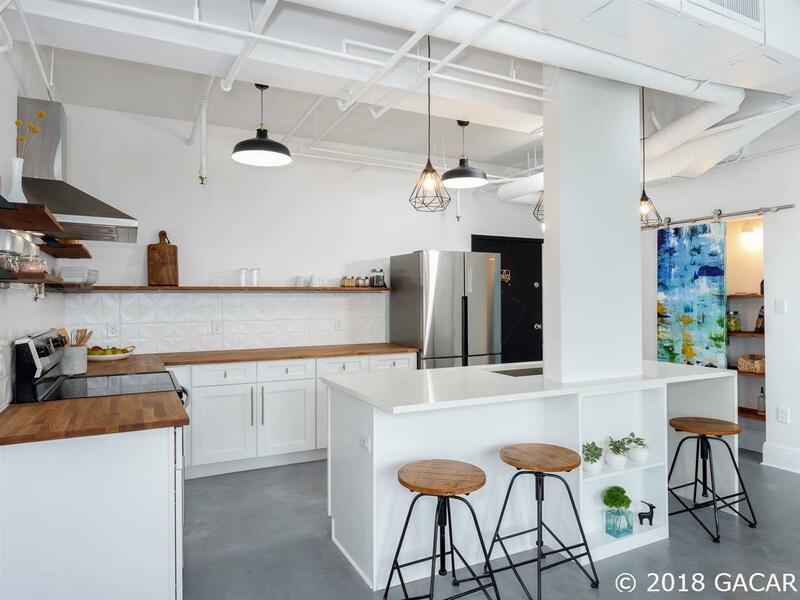 This home has been thoroughly remodeled in an industrial chic design with beautiful high end finishes. It features a 2 bed 2 bath split plan layout with a large walk-in closet in the well appointed master suite. 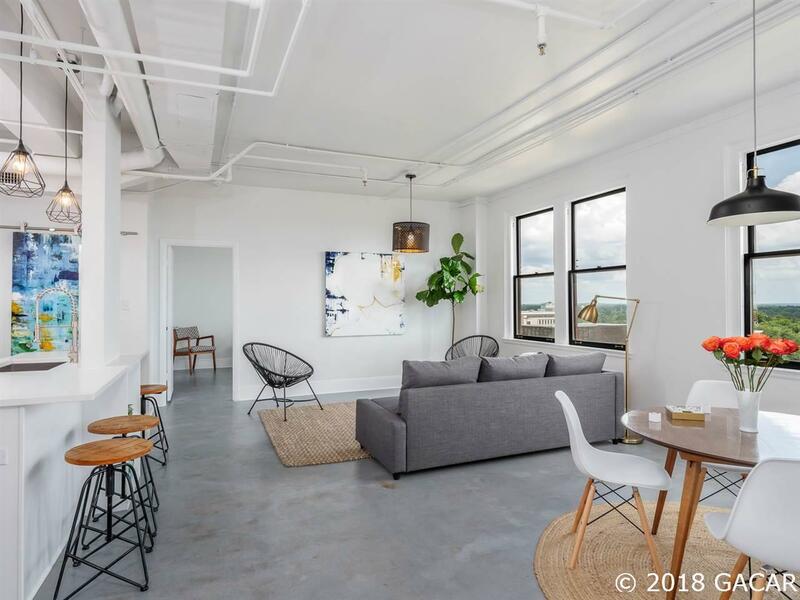 Tall ceilings and plenty of ambient natural light give the space a relaxing atmosphere. The designer kitchen features white shaker cabinetry with perimeter butcher block counters while the center island is finished with a gorgeous quartz waterfall countertop. 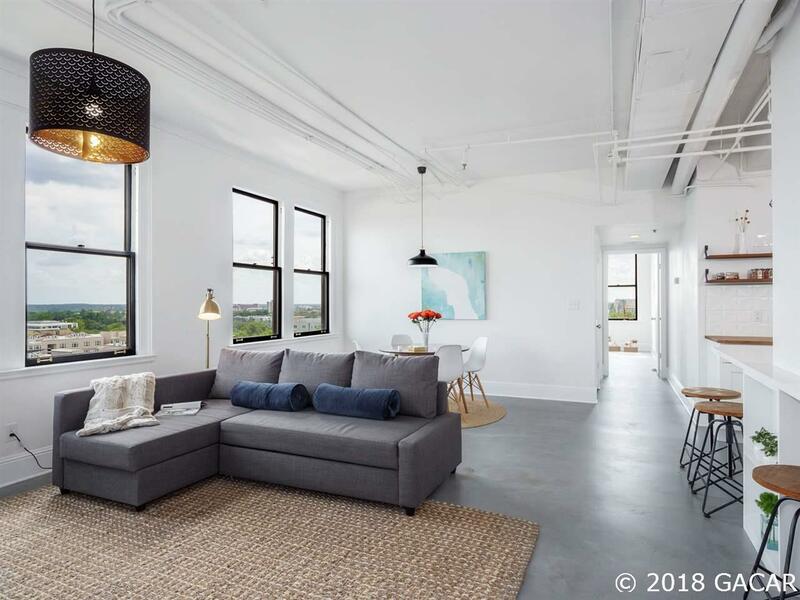 Low maintenance concrete floors in the main living areas, built-in laundry closet with included washer/dryer, new HVAC, new hot water heater, and secured garage parking spot complete the package. The Seagle Building is an 11 story art deco skyscraper in downtown Gainesville and is listed on the National Register of Historic Places. This home is one of a kind, schedule your private tour today!